I still remember my first encounter with Arnulf Rainer in his studio in Austria when I was a teenager. He was at work. Rainer dipped a broom into a bucket of paint, and ran towards the canvas while expressing his fear that this could go very wrong. Somehow, he included us in his work by sharing his thoughts. We participated in the action itself and were almost nervous asking ourselves what would happen. Arnulf Rainer, Sans titre (1973). Arnulf Rainer is Austria’s leading Abstract artist. He received the Great Austrian National Prize in 1978, became the Austrian representative at the Venice Biennale, and held a professorship at the Academy of Fine Arts in Vienna, the same place where he quit his own studies after just three days because he was unsatisfied. 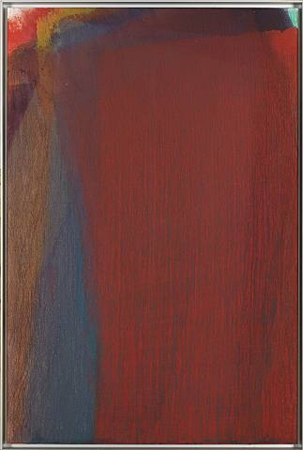 Arnulf Rainer, Bajazzo III (2009). Since then, Rainer has gone on to set the standards for representational Abstract work, a type of art for which he is famous. He does not fit in any pre-existing box. His work is technically of highest quality, yet it is not “pretty.” It is strong, elegant, elaborate, and expressive. He first came to acclaim during the mid-1950s, when he produced black-and-white pictures, and the first of many works painted over photographs, in which he himself often served as the model. His work is characterized by a series of ‘overpaintings,’ such as Face Farces, Hand- und Fingermalerei, Hiroshima Zyklus, and Totenmasken (Death Masks). In blury photographs, books, and prints, Rainer conceals the preceding original, sets new accents, and challenges our perception of the old. He reveals something new that was there before but wasn’t as visible or obvious. Arnulf Rainer, Sans titre, (c.1969). Arnulf Rainer, Death mask Senefelder (1978). By challenging our mind to re-build our own view of the world, like a puzzle, Rainer reveals to us what really matters, the delicate details that we often overlook. His genius lies in his ability to reveal or hide details to manipulate the conclusiveness of the original work, and to pose questions regarding identity and structure of our times and very nature. 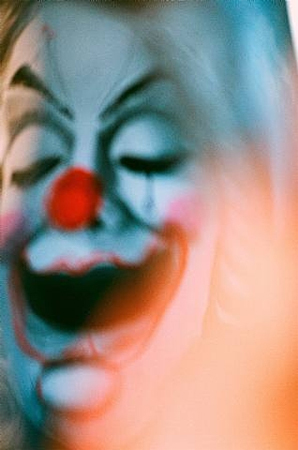 Arnulf Rainer, Face Farces (1972). His work has been shown in various renowned museums, including The Museum of Modern Art and the Solomon R. Guggenheim Museum. In 2009, The Frauenbard – Arnulf Rainer Museum opened in Baden, Austria. The clear lines of the 1821 Frauenbad, whose history dates back to Roman times, were based on a design by Charles de Moreau, one of the leading architects of French classicism. In a way, Rainer gave the museum the perfect color. In typical Rainer fashion, the artist was sensitive to the old beauty, yet strong in his own visions. He complemented something that had existed in its own beautiful and proud way for a long period with a fresh, progressive, and challenging accent. The current exhibition, New, Unfigured and Interesting, is taken from one of the overpainted books, Illustrations of Indian Ornithology, Containing 50 Figures of New, Unfigured, and Interesting Species of Birds Chiefly from the South of India, by P.R. Hunt. Rainer takes us into the universe of these dream books, whose construction is based on exact scientific principles, while displaying otherwise unimaginable specimens of nature. Learn more about Arnulf Rainer. 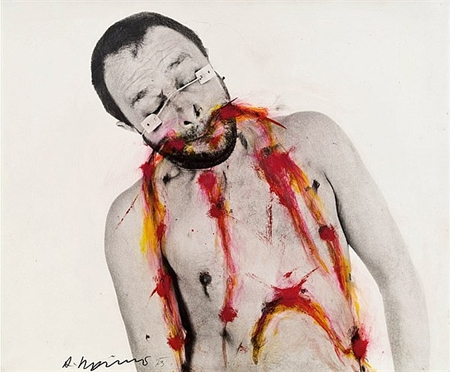 1“Artist Biography,” Arnulf Rainer Museum, http://www.arnulf-rainer-museum.at. Antje Linck is an editor for the artnet Price Database Decorative Art.